Base oils are the foundation for the preparation of a huge variety of hydrocarbon products. The best known of them are the lubricants. Base oil is produced from refining crude oil or through chemical synthesis. Consisting of hydrocarbons with a length of 18 to 40 carbon atoms, base oils can be either paraffinic or naphthenic in their character depending on the chemical structure and origin of the molecules. Paraffinic base oils are used mainly to prepare automotive lubricants, as the viscosity behaves the best under temperature variations. They are also the base to manufacture maritime and railway lubricants, industrial oils, lubricating greases and pharmaceutical products, such as mineral oil. 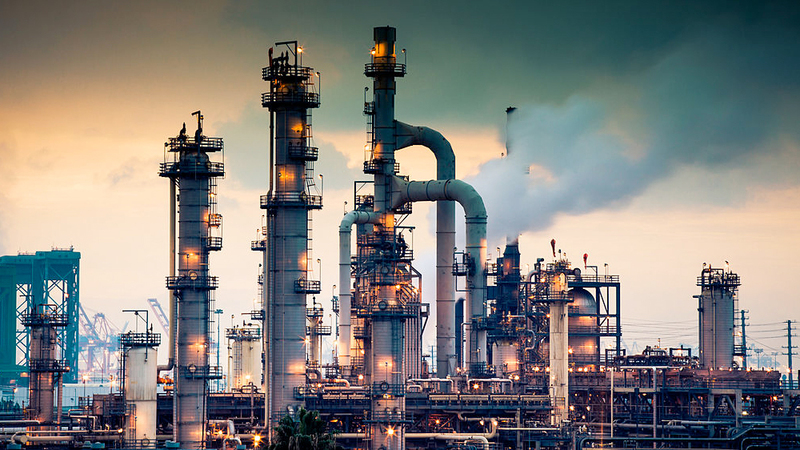 Naphthenic base oils are used to manufacture insulating oils for transformers, lubricating greases, cutting fluids, oil for compressors and oil for shock absorbers. They can also be used as rubber plasticizers. Group I base oils are the cheapest and least sophisticated on the market. They are made by a solvent refining – a process which is less costly and less complex compared with others. They contain less than 90 percent saturates, have a sulfur level of greater than .03% and exhibit a viscosity index (VI) of somewhere between 80 and 120 (the VI number is unitless). The higher the VI, the more stable and desirable the viscosity is across a range of operating temperatures. petroleum fractions. Unlike group I oils, group II base oils are defined as being more than 90 percent saturates, less than 0.03% sulfur. The higher the number of saturates, the higher molecular bond strength of the oil. This relates to a better resistance to breakdown or loss of viscosity. Group III base oils are refined even further than group II oils and contain similar levels of saturates and sulfur, but have viscosity index above 120. The higher quality allows these synthesized materials to be used in the production of synthetic and semi-synthetic products. They show excellent molecular uniformity and stability. Group IV base oils are made from polyalphaolefins (PAOs) and are chemically engineered and 100% synthetic base oils. Synthetics are derived by a different refining process to offer better performance owing to their consistent molecular structure and purity. Offering super low volatility (allowing them to perform in the harshest of conditions and temperatures), synthetic base stocks are among the most costly and highest quality available. Group V base oils are in the whatever all else category, i.e. anything that was not mentioned in the previously defined groups. They include naphthenic oils, esters, silicones, biolubes and polyglycols.